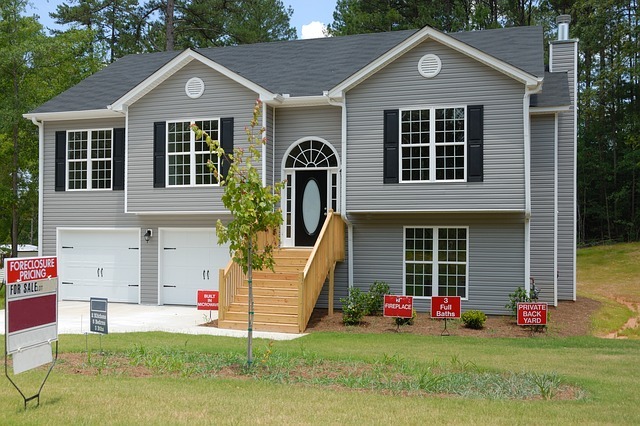 Are you planning to purchase a new house or a real estate property? Aside from checking your favorite property developers’ websites and talking to real estate agents, you can also check out the Pag-ibig Home Development Mutual Fund website to see what properties are currently for sale. Pag-ibig releases new lists of Foreclosed properties monthly and this is something that you should watch out for if you’re on the lookout for potential real estate properties. Foreclosed or acquired asset properties will be available for sale during a sealed public auction. It will be conducted by the Pag-IBIG Fund Committee on Disposition of Acquired Assets on April 19 and 20, 2017 with a total number of 1,167 properties in Metro Manila, Batangas, Bulacan, Cavite, Laguna, and Rizal. 530 Properties are available in Batangas, Bulacan, Laguna, Metro Manila, Rizal, and Cavite Area (Tanza). 294 out of these 530 properties are Row Houses. Click here to see the complete details of these properties. 637 Properties are available in Cavite Area except Tanza and 417 of these are Row Houses. These properties are sold on an “AS IS, WHERE IS” basis and all interested buyers are encouraged to inspect the property before tendering their offer. 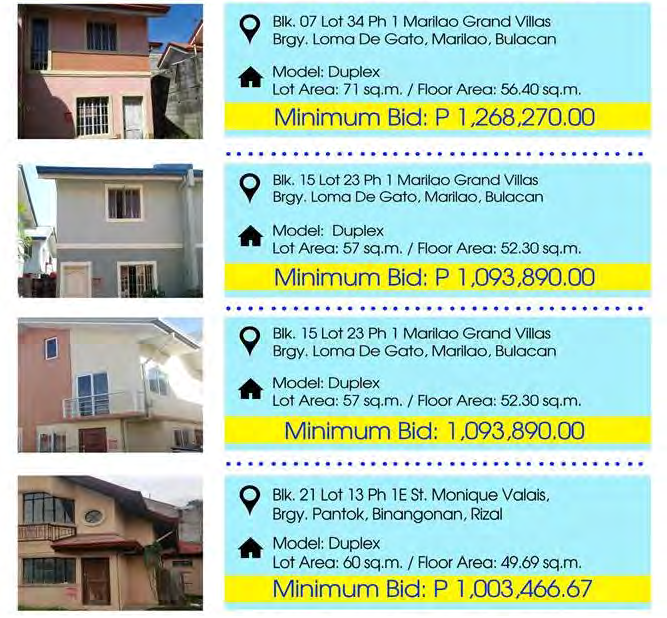 If you are interested to bid for any of these properties, you need to get a download a copy of the Instruction to Bidders and Offer to Bid. You can also get these copies personally from the office of the Acquired Assets Management at 7th Flr. JELP Business Solutions Center, 409 Shaw Blvd. Mandaluyong City. This is the same venue where the bidding or public auction will take place on the specified schedules. The bidder who offers the highest bid shall be declared as the winner. On the other hand, the non-winning bidders’ bid bonds will be returned to them immediately after the winner is announced. If for any reason, the winning bidder decided not to push through with the purchase of the property, or if he fails to pay the remaining balance in full within 30 calendar days from the receipt of the Notice of Award (NOA), he shall lose his right as winning bidder. In addition to that, the 10% bidder’s bond shall be forfeited in favor of Pag-ibig Fund. Buyers Beware: “Brokers and Agents are NOT ALLOWED to accept or collect any payments relative to the reservation or down payment for the purchase of acquired assets.” Never give payment to anyone but Pag-ibig Fund if you’re bidding for a property. For more info about Pag-ibig Properties, you may contact Rosciel Briones at 654-1398 or send an email to aad_ms@pagibigfund.gov.ph.